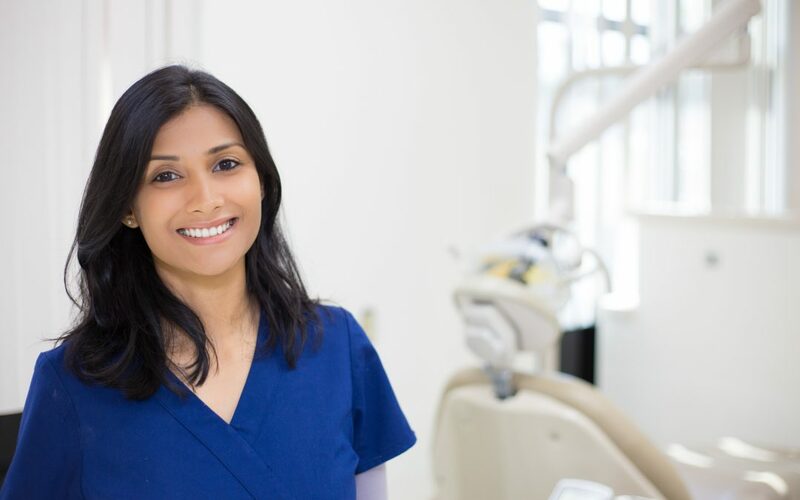 Whether you are a Registered Dental Assistant, Hygienist or a Receptionist, your resume is going to provide the basis for your first impression with a Dentist or Office Manager. While you’ve probably managed to thoroughly articulate your appropriate skills and work experience, have you ensured that your spelling and grammar is error free? Does your format set itself apart and stand out from the crowd? Will a hiring manager feel compelled to reach out to you when seeing your resume? Absolutely NO spelling errors. The person reviewing your resume will most likely throw it out if there is so much as one error. CHECK, TRIPLE CHECK, THEN CHECK AGAIN!!! Make sure all your contact information is accurate and easy to find (top center of page). There is nothing worse than a missed call in response to your resume because you can’t be reached due to an out of date email address or phone number. And remember to keep your voicemail box empty, because if they can’t leave you a message, they won’t call you back. Be concise and relevant. Keep it to 1 page if possible. Don’t include every job you ever had. Your last 3 are enough, making sure to include the month and year of employment. Make sure all items are included: Name, Address, Number and Email, Objective OR Professional Profile, Skills, Professional Experience, and Education. Add a photo. The likelihood of your resume getting a call back drastically increases when a photo is included. It helps the doctor or office manager feel like they already know you, so put on your best smile for one afternoon and have a friend snap some professional looking photos! Bold and italicize your big accomplishments. This used to be a big no-no, but in the dental world where all resumes look the same, and the doctor or office manager only has a few moments to review your resume. Making sure their eyes are drawn to the things you want them to see will increase your chances of a callback. You usually want to bold and underline words that they used in their job posting. Example: If they said they need someone with CEREC experience, make CEREC stand out in your resume. Use pops of color. This also used to be frowned upon, but now you have to stand out from all the basic black and white text. But just stick to one color and make sure it is dark enough to read. Add texture. Don’t make it look too busy, but using 2 to 3 different fonts to separate items in your resume, makes it easier for the reader to follow along. Example: under Professional Experience, I use 4 slightly different fonts. 1 for the name of the practice, 1 for the dates of employment, 1 for my position title, and 1 for the description of my responsibilities. Lastly, work with someone that can refer you to the office. Like Direct Dental Staffing! We work with thousands of dental practices all throughout Southern California and have helped place dental professionals of all experience levels into their dream office. We will make sure that your perfected resume is marketed to all our clients and we won’t rest until we find your dream job. To help you out even further, we have attached a free sample resume that you can download and make your own.